The kids Game Jam #KGJ is an annual VideoGame Creation Challenge (by Scratch) among teams of children and teen from 7 to 16 years of age. All teams will have their own skills in creating a new video game that respects the Topic chosen by the organizers. 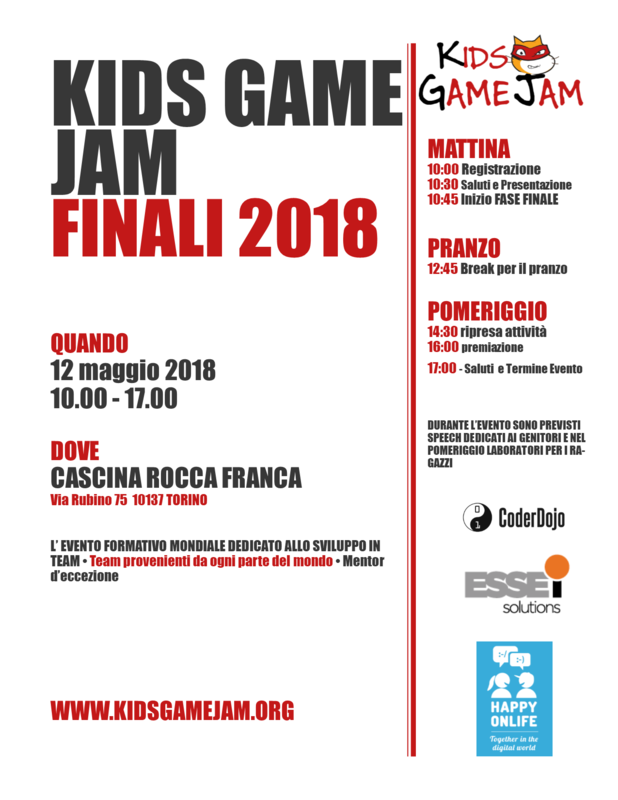 the first round of the JAM is realized at the same time worldwide all all schools and CoderDojo clubs partecipating in the event; the final stage will take place in a common location, chosen by the organization. Each Team must make a video game as complete as possible and in 72 hours available for JAM. As children and young people are the greatest acquaintances and video game users, it's fair to give them a chance to have fun, create, and live an unforgettable time to share with other small but great developers around the world. Kids Jammers will work together, creating, mistaken, experimenting to create something unique that alone would not be able to create. In fact, jam is not a race against each other, but a challenge that is won is TOGETHER ! Although in the KGJ all the participants are winners we proclaim the prizes. 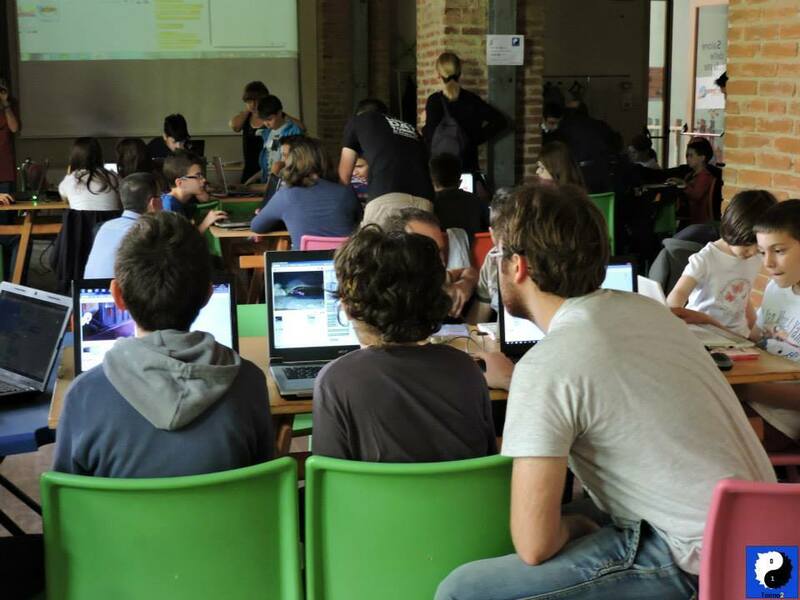 Previous editions saw the participation of more than 60 dojo teams and schools with more than 300 registered developers.